Debian is widely acknowledged as one of the most popular Linux distributions. It was established as a non-profit project by Ian Murdock that now is being developed by more than 1, 000 independent volunteer developers. This makes Debian so well-rounded: it can find application in any fields of life because developers create its parts to find solutions to their real-life issues. Strict adherent to the philosophies of Linux and free software, Debian is a thorough quality product. By now it has become an organized association of developers and users, bound in tight communication, which also adds to the OS’s stability. Debian offers a great spectrum of possibilities. It’s highlight being however simple upgrade and automatic setup and removing of packages. Naturally, what people need is application software – a set of applications that will help them do what they want, like documents editing, business management, developing games or other software. Debian has more than 29,000 packages (precompiled software that is bundled up in a nice format for easy installation on your machine) – all of it free. Debian was the first to introduce the standardized mechanics of choosing the preferable software between multiple choices. Debian is being implied in NASA, IT Universities of Switzerland, the USA, Russia, Germany and other countries, various commercial and non-profitable organizations around the world. Machines with Debian require less manual work in course of work, are easier to update and generally are considered less tended to break. 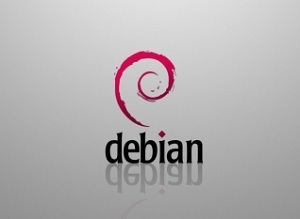 Debian is widely known as the best integrated of all OSs. Xeoma video surveillance software shows great performance on Debian 6 Server, which allows to use all of the program’s features also for those who don’t need a graphical shell for their video surveillance system. Xeoma and Debian Server will be a perfect mix for your monitoring system!